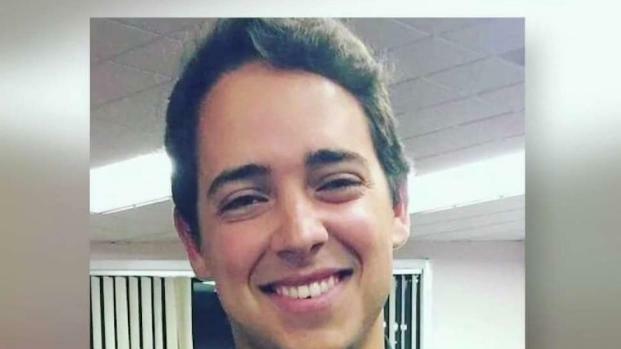 Arthur Medici, 26, was killed in a shark attack in Wellfleet on Saturday. 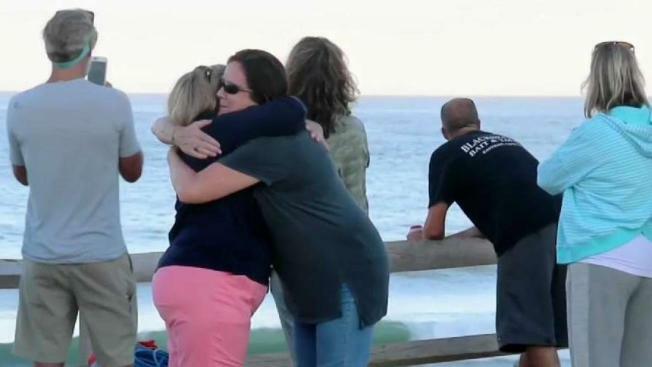 A sunset vigil was held Sunday night for the victim of a rare fatal shark attack Saturday in Wellfleet. 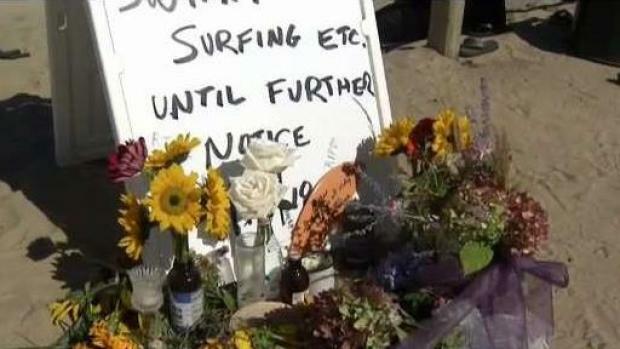 Arthur Medici, 26, was killed Saturday in the first fatal shark attack in Massachusetts in 80 years. He was an engineering student at Bunker Hill Community College. Following the tragedy, the beach remained officially off limits to swimmers on Sunday. Truro Police also announced that ocean-side beaches in that town would also be closed until further notice. Sunday afternoon, officials patrolling by airplane spotted a shark off a beach in Eastham and closed swimming for one hour. Medici was on a boogie board when the attack occurred, just about 30 yards off shore. Attempts were made to revive him but were unsuccessful. "All of a sudden somebody yelled 'shark, shark!' and we noticed a big crowd at the end of the beach," Tony Sherwell said. Julian Swistak said people started running down the beach, wrapping Medici's legs in their towels. "There was a lot of blood," Rich Littauer said. "A lot of blood." Arthur Medici, 26, was killed by a shark in Wellfleet on Saturday. Booth said others on the beach attempted to make a tourniquet using a boogie board cord while others frantically called 911. CPR was in progress on the beach when emergency personnel responded, at which time they took over. Hayley Williamson, a Cape Cod resident and former lifeguard who was on the beach at the time, was in disbelief after Medici was rushed in an ambulance. Life-saving measures were attempted on the beach before Medici was taken to Cape Cod Hospital in Hyannis, where he was pronounced dead, State Police spokesman David Procopio said. The beach has been closed to swimming. The town of Wellfleet issued a statement Saturday night, saying they are "heartbroken by this tragedy," and they send their sympathies to Medici's family and friends. "We share the grief and pain you feel," Select Board Chair Janet Reinhart and Town Administrator Dan Hoort said in the statement. "We are grateful to the family, friends, beach staff, public and first responders who worked so valiantly to save his life. Everyone who lives in and visits Wellfleet is part of the Wellfleet community. Today we lost a member of our community and we grieve his passing." In a tweet this morning, U.S. Rep. Bill Keating said he would convene meetings with the National Park Service, along with state and local officials, on how to address the shark issues. He sent condolences to the Medici's family. Brian Carlstrom, a superintendent with the National Park Service, recommended people read and heed advisories posted atbeaches. "Do not swim near seals; swim close to shore where feet can touch the bottom; swim, paddle, and kayak in groups; do not swim alone at dawn or dusk; avoid isolation; and limit splashing and do not wear shiny jewelry," he urged in an online statement. The Atlantic White Shark Conservancy offered their condolences to Medici's family on Twitter. 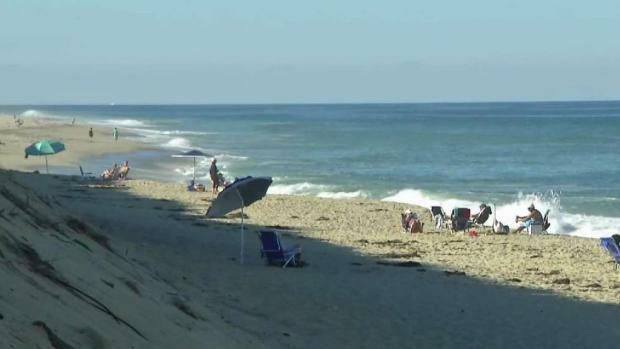 Beachgoers said the Wellfleet beach is popular with surfers, and with sunny skies and warm temperatures Saturday it was busy, even though the summer season was over and lifeguards were no longer on watch following Labor Day. "As you can see, there is signage that is posted here at the beach just advising people that there are sharks in the water and the potential of them being out there," Lt. Hurley said. "It's just crazy," Swistak said. "I come to this beach all the time so it's scary and a little sad." A Cape Cod politician said officials who did not more aggressive action against sharks bore some responsibility for the fatal attack. Barnstable County Commissioner Ron Beaty said he had warned something like this could happen and urged measures to reduce the number of white sharks. "It is my personal belief that the responsibility for this horrible shark attack rests squarely upon the shoulders of the aforementioned officials for their utter lack of attention and inaction regarding the growing shark problem on Cape Cod of the last few years,'' he said. The incident is currently under investigation by the Cape and Island District Attorney's Office and Massachusetts State Police.